New York, NY (FOX FUSE) - A stellar career continues for international icon Shaggy as he receives the 2012 Grammy Award nomination for best reggae album - the ultimate recognition for his latest studio effort, Summer In Kingston, released on his own Ranch Entertainment label, on July 19, 2011. The 8-track digital album was heavily marketed with a focus on fan-targeted promotions, and Shaggy has been touring non-stop since its release as he continues his global dominance. Summer In Kingston has also been massively embraced by mainstream media, granting the multi-platinum artist notable appearances on The Tonight Show with Jay Leno (NBC), The Today Show (NBC), and Lopez Tonight (TBS), just to name a few. 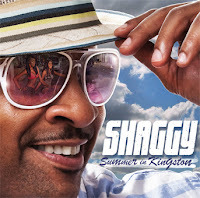 "I'm grateful to be nominated for the 2012 Grammy Award for best reggae album," Shaggy reveals from his current tour stop in Sidney, Australia. "My entire team at Ranch Entertainment and Crush Management worked tirelessly to capture the essence of the true summer vibe on the island of Jamaica, to bring it to the world." Summer In Kingston debuted at #1 on the Billboard and iTunes Reggae Albums charts, while its lead single "Sugarcane" also revved reggae singles charts, worldwide. 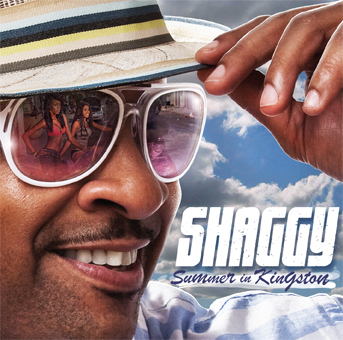 The "Sugarcane" video, filmed in Jamaica and depicting the perfect 'summer in Kingston' as its backdrop, saw an MTV premiere. This marks the tenth album from the diamond-selling artist, already a Grammy winner for his breakout album Boombastic, back in 1996. He has received three previous Grammy nominations, as well as multiple American Music Awards and MOBO (UK) nods. "My heartfelt thanks to my longtime fans for your continued support of my music and making this happen, and to The Recording Academy for again recognizing our efforts," states Shaggy. The 54th Annual Grammy Awards takes place on February 12, 2012 at the Staples Center in Los Angeles, California. It will be broadcast live on CBS.